There Are Just Some Numbers That Instill Confidence And Respect Among Racers And The Number 632 Holds A Special Place In Most Big Block Racers Mind. 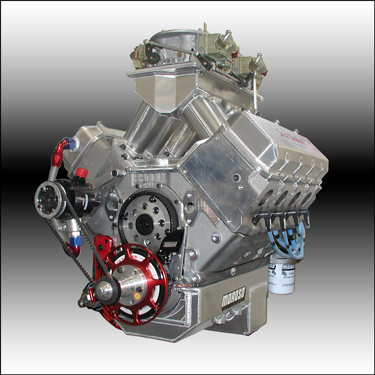 This One Is The "Big Boy" Of The Group Developing 1325 Reliable Horsepower With Its' 12° Heads, CFE Sheet Metal Intake And All The Best Components Ever Designed Come Standard In This Legend Of An Engine. T&D Pro Series "1 Piece Stand" Shaft Rockers w/Needle Brg.